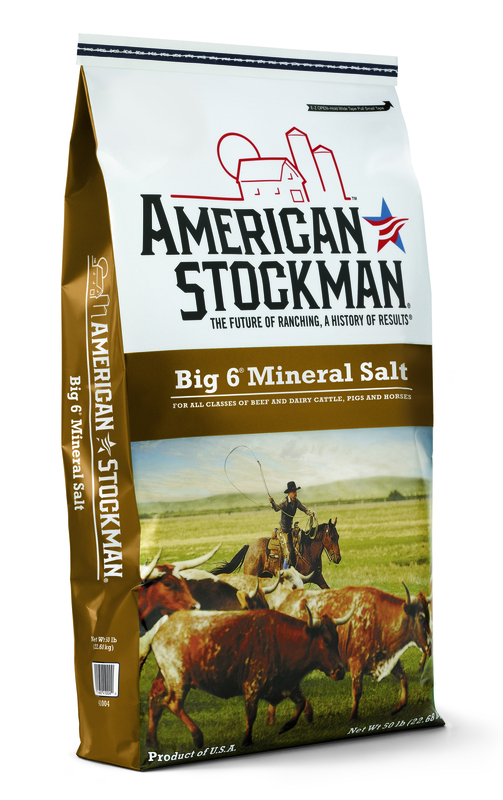 Big 6® is our most popular trace mineralized salt in the eastern half of the United States. With the six core micro-minerals required for animal health – zinc, manganese, cobalt, copper, iodine and iron – it’s the first choice for weight gain, feeding efficiencies and overall herd performance. 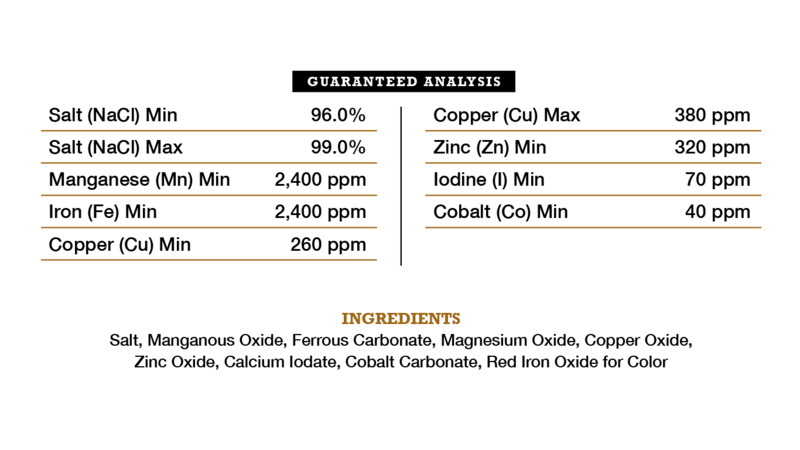 For all classes of beef and dairy cattle, pigs and horses.